Coming to a town near you perhaps? 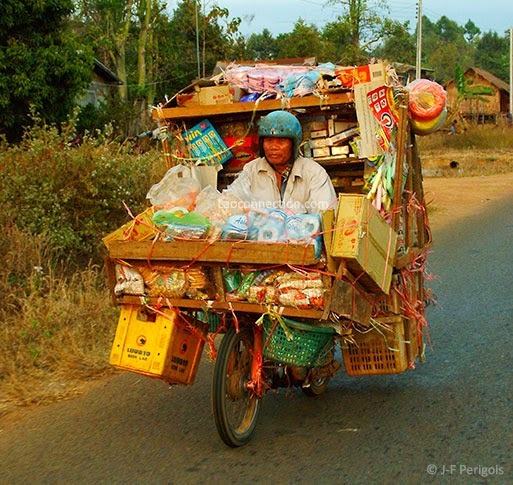 While Laos is full of markets big and small, the outer regions and smaller towns would likely be serviced by someone like this person bringing their wares into small villages. Though this is one of the most packed motorbikes I've ever seen!